I'm using Version 3.8.22 of 1Password on MacOS Mojave. I understand my version of 1Password is very old. Whenever I try to log in with my master password, the software crashes. How can I back up my data and upgrade to the latest version. Welcome to the forum, @Alex_Etkin! I'm sorry for the trouble, but it sounds as if you're already aware what the origin of the problem is on this one: the age of the version you're using (combined with the new-ness of macOS version). We've actually got a great, step-by-step guide to upgrading from version 3; please follow those instructions and let us know how that goes for you! Thanks for your reply. Unfortunately, following the guide is problematic. The first step in uninstalling the 1Password 3 extensions is to "Open the 1Password 3 main app and unlock by entering your Master Password." I'm unable to get into/unlock the 1Password 3 app. When I open the app and enter my Master Password, the app crashes. It won't unlock. Please let me know how I should proceed. Thank you. @Alex_Etkin - yes, this has gotten more and more difficult as macOS has progressed and 1Password 3 for Mac has remained the same (first introduced in 2009, last meaningful update in 2012). If you can't even launch 1Password 3 for Mac, then just proceed to the next step, as there's no real way to extract any items which were saved in 1Password 3 for Mac's extension but not synced to the main app. I trust - especially if you haven't been able to use it for a while - that you don't have any of these at any rate. Go ahead with the rest of the steps and let us know how you get on. I've downloaded a "Read-Only" version. The File > Import selection is greyed out. Do I need to buy a new license for $49.99? Will my purchase allow me to choose File > Import and then import my saved passwords from 1Password 3? 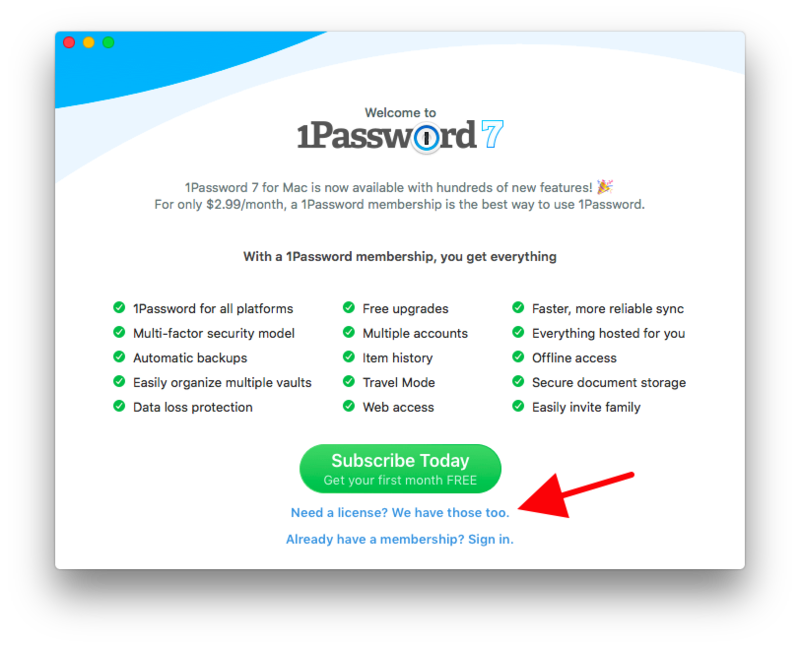 Also: yes, that will then allow you to import your previous 1Password data. Let us know if you have any questions.